A scenic photo of bright puffy white clouds hovering over Washington State on this sunny day. This photo was taken near the Seatac Airport. 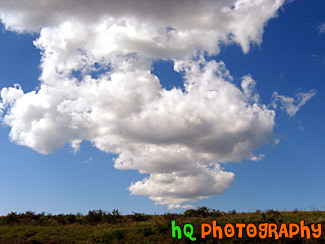 In this photo you can see the contrast between the bright clouds, blue sky, and green grass below.